notes: parts of pages removed to improve clarity and flow of description, no dance diagrams were published at the time. Theoretically, for a Waltz (3 counts per measure), the Metronome or Beats Per Minute (BPM) would be 132 (3x44) to 180 (3x60) for this Waltz. 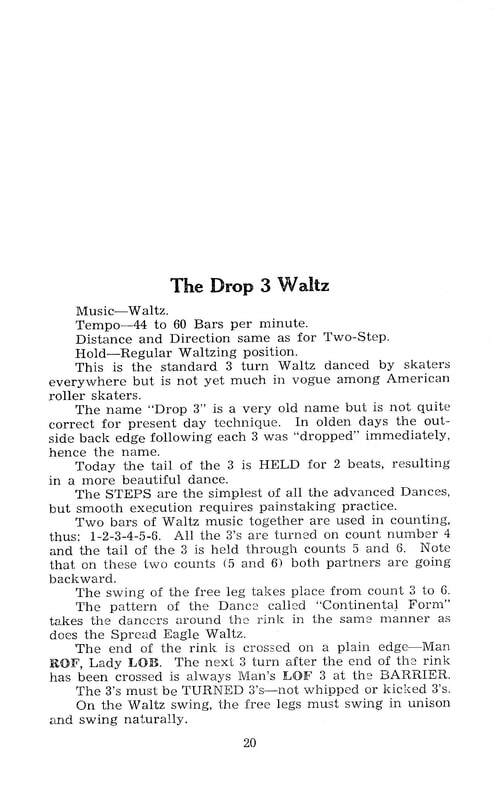 The Continental Waltz has roots entwined with the Drop 3 Waltz. This author surmises that it became called the Continental (European) to distinguish it from the English style seen in the Drop 3 Waltz. 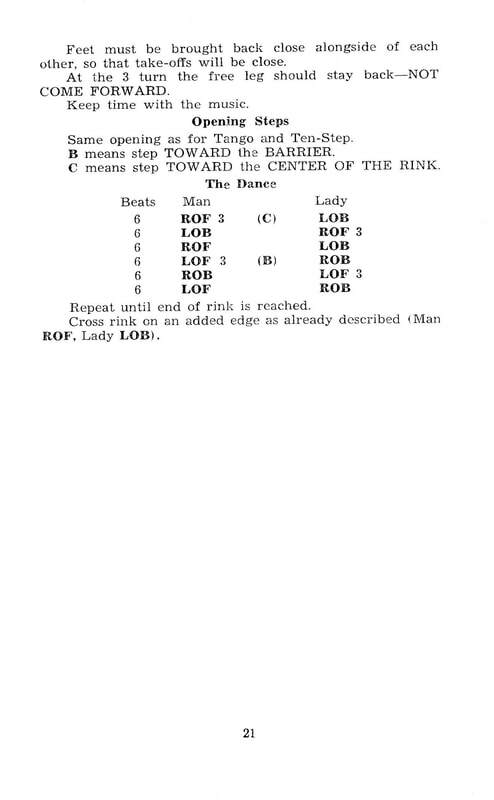 The Drop 3 apparently gets it name from the ice skating technique of immediately 'dropping' to the other foot, after the turn is completed.